President Muhammadu Buhari has warned all Nigerians that his administration will not condone any attempt to politicise security issues. The President gave the warning on Friday while reacting to the release of the students of Government Girls Science and Technical College, Dapchi, abducted by Boko Haram terrorists on February 19 in Yobe State. Receiving majority of the Dapchi schoolgirls as well as a boy and one other girl at the Presidential Villa in Abuja, he called for more support in the fight against insurgency. President Buhari speaks when he received the Dapchi schoolgirls and others at the State House in Abuja on March 23, 2018. 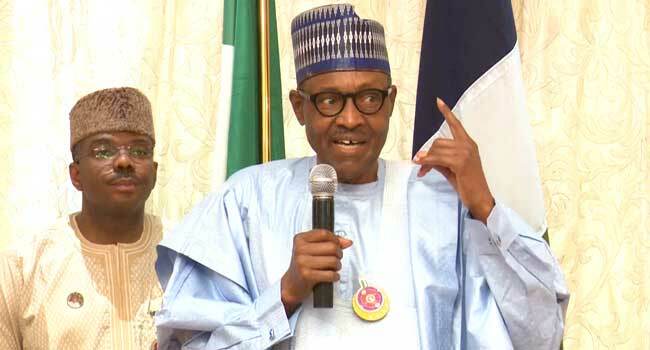 “Government would not tolerate any attempt by any person or group to trivialise or politicise security issues for politically motivated ends,” President Buhari said. He further advised persons and groups who have chosen to make political fortunes out of the misfortune of citizens to desist from such act. According to the President, Nigeria has suffered enough of hostility and government is appealing to all to embrace peace for the overall development of the country and its people. He revealed that he has since directed the security agencies to put in place further measures around all schools vulnerable to attacks to ensure the safety of students, teachers and school workers. President Buhari added that he had given an order to ensure that there was no reoccurrence of the ugly incidents, saying security chiefs have been warned in clear terms that any lapse on their parts would be viewed seriously. He, however, thanked Nigerians, who in spite of political differences, prayed and showed solidarity with families of the abducted students during the period of the abduction. 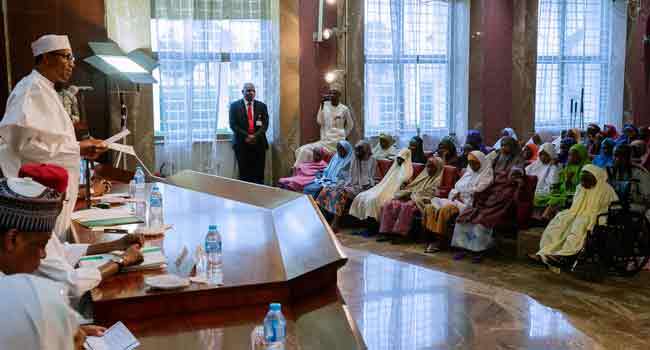 The President also praised the International Community and other who offered varying degrees of assistance during the backchannel communications, as well as the security agencies for their loyal and tireless efforts in ensuring the girls return safely.